The secret to making some of the finest quality cigars found in the world has been passed on in the Davidoff family from Geneva, Switzerland for generations. 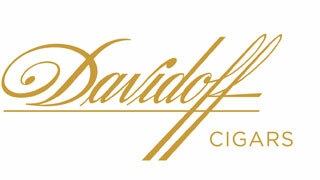 Zino Davidoff was born into a family of tobacco specialists and was surrounded by the finest cigars while growing up. He ventured to Cuba to create his own line of cigars in the 1960s. Davidoff Cigars have been known for their impeccable quality, wondrous aromas and beautiful construction for half a century. These luxurious cigars have been refined to the utmost level to provide the smoker with an unforgettable experience in every puff. The first Davidoff cigars were made in Cuba in 1967 and since then, the world-class cigar brand has maintained the highest standards and has gained a reputation for being one of the finest luxury cigar brands around. Davidoff cigars have been hand crafted in the Dominican Republic since 1991 and are filled with the finest quality tobaccos, which are perfectly blended together to create a wide range of flavors. These cigars come in different wrappers like Ecuadorian Connecticut, Habano, Indonesian, Sumatra and Habano Maduro. Davidoff samplers, Davidoff Classic Series, Davidoff Aniversario Series, Davidoff Millennium Series, Davidoff Winston Churchill, Davidoff Thousand Series and Davidoff Grand Cru Series are some of the brand’s most popular cigar lines. While the sampler pack allows customers to try each one of these before deciding on their choice, the rest are some of the highest quality cigars one can find. So if you’re looking for a truly luxurious experience and want to enjoy moments of deep relaxation with a soothing cigar, Davidoff Cigars is the brand for you. Davidoff Mini Cigarillos are petite sized cigars made with exquisite blends of premium Indonesian and Brazilian tobaccos finished with elegant Connecticut shade leaf wrappers, with the exception of the Nicaragua Minis. Their small size of 3 ½ inches by 20 ring gauge make these cigars perfect for enjoying during the day or paired with your favorite wine in the evening. They are presented in easy to carry tins containing 20 cigars with 10 tins per box. Davidoff Mini Cigarillos Gold are meticulously crafted and exude elegance in every puff. The creamy finish is well balanced with the exotic flavor of the tobacco blend. Davidoff Nicaragua Mini Cigarillos feature a perfectly balanced blend of Nicaraguan and Dominican long fillers with a sweet Sumatran binder finished with a gorgeous Habano Jalapa leaf wrapper.